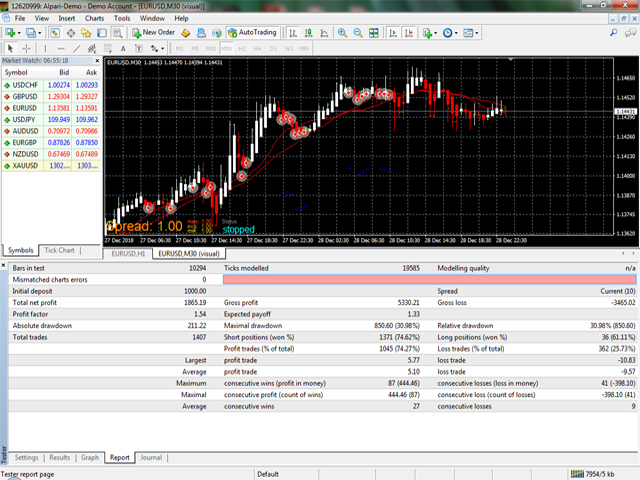 The EURUSD pair offers in general the best performance in the major part of the Profit30 EAs. In this EA, a selection of Profit30 systems has been rewritten and configured explicitly for get the best performance in the EURUSD pair. The EURUSD pair offers in general the best broker execution conditions, with the best spread and without important slippage. Don't use any kind of martingale, grid or hedge. Is very lightweight in CPU / RAM resources. Only launches once at the beginning of the bar. Is very easy to setup and don't require any extra supervision, can be connected 24x7. It can be used by newbies. Try Back Test and Try on Demo Account and execute on Real Account.